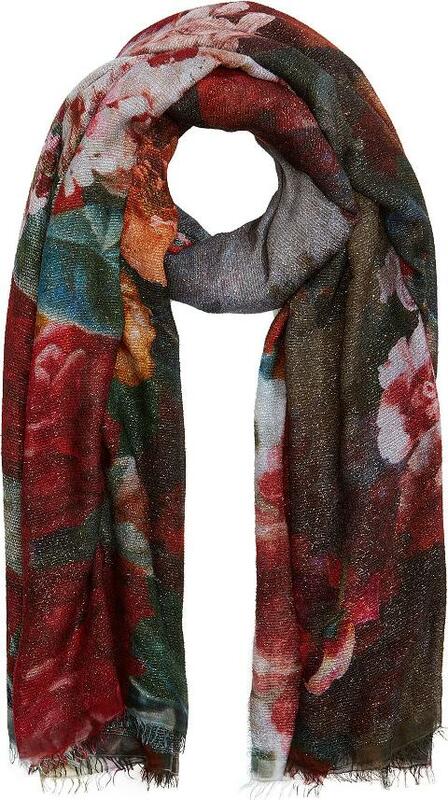 Faliero Sarti Floral Scarf with Cashmere. In a botanical floral print with a cashmere infused composition, this Faliero Sarti scarf is an indulgent pick. Styling Team with a flash of tonal lipstick for casual chic. In a botanical floral print with a cashmere infused composition, this Faliero Sarti scarf is an indulgent pick. Styling Team with a flash of tonal lipstick for casual chic.